I have to say, as hard as the days can be sometimes, mothering this little adventurous, strong-willed, creative child... I really am loving these moments lately. Babycakes' love for me overflows out of her mouth almost incessantly. She says I'm the greastest and most beautiful mommy ever. She says I'm one of her besties, clarifying that she also has others (LOL). She says she'll love me forever and ever. She wants to hug me and kiss me all the time. I am dreading the day when this will stop. But for now, I'll soak it all in, and give her all that love right back and celebrate what we have. And since celebrations are in order, so are these fabulous brunch recipes. 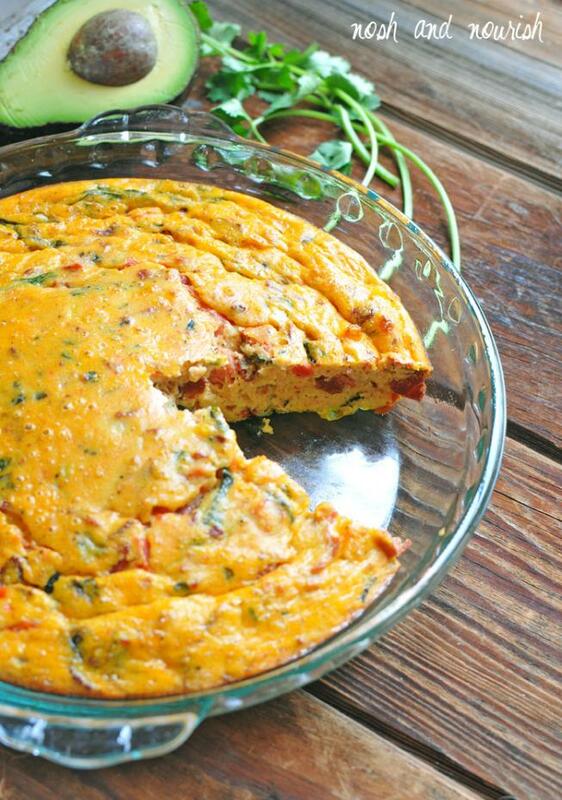 I am seriously in love with this quiche!! Most quiche recipes are drowning in heavy cream, cheese, and crust. This one is not. It gets its creaminess from cashews. It gets its smoky flavor from crispy bacon. 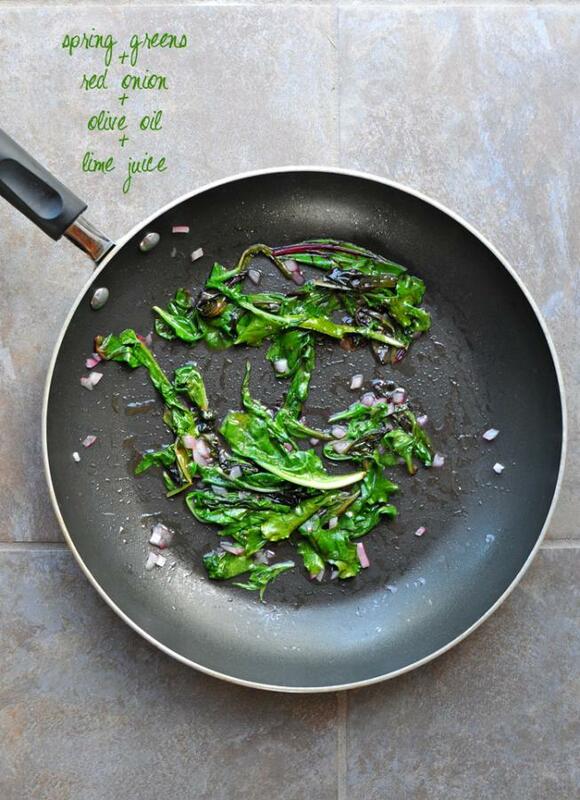 It gets its nutrient boost from spring greens. Speaking of spring greens, look how beautiful they are! This is a mix of spinach, swiss chard, and bok choy. 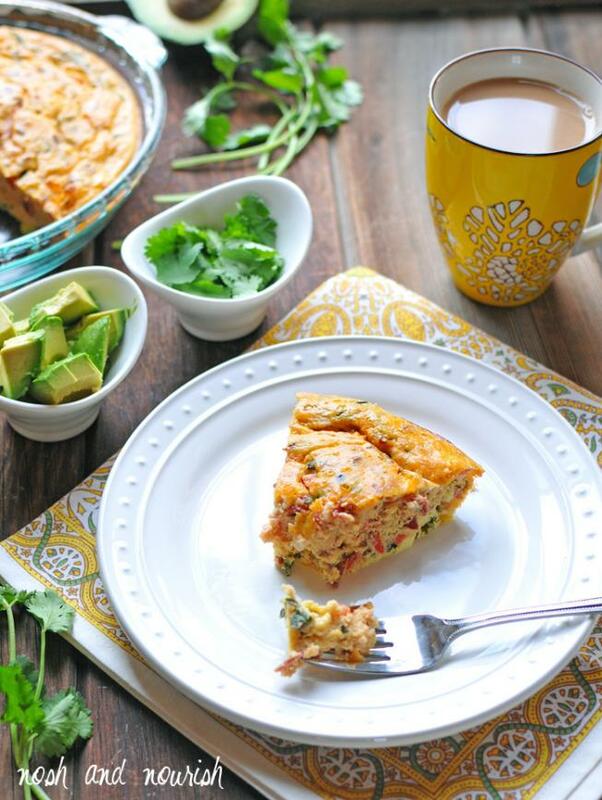 This quiche is super-satisfying, a wonderful combination of flavors, a crowd-pleaser, and perfect for Mother's Day brunch, a regular weekend brunch, or even leftovers throughout the week. 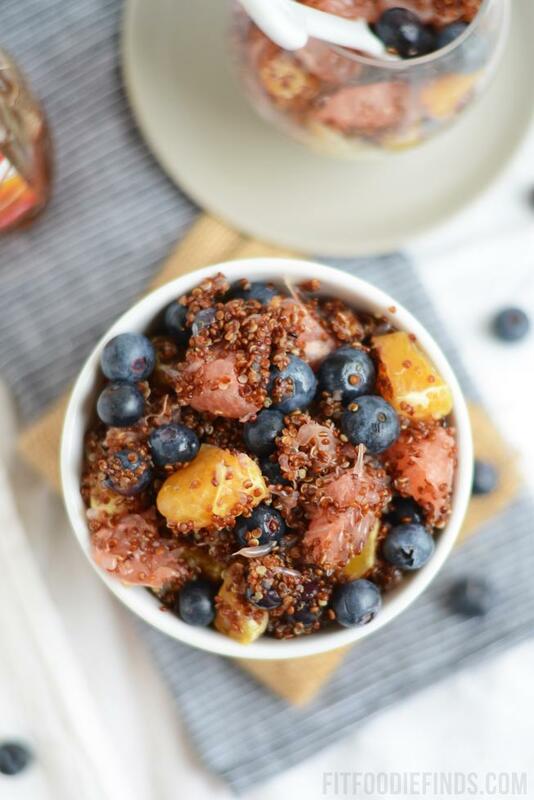 Citrus Quinoa Salad by Lee @ Fit Foodie Finds. Super light and refreshing, but packed with superfoods! Get the recipe here. 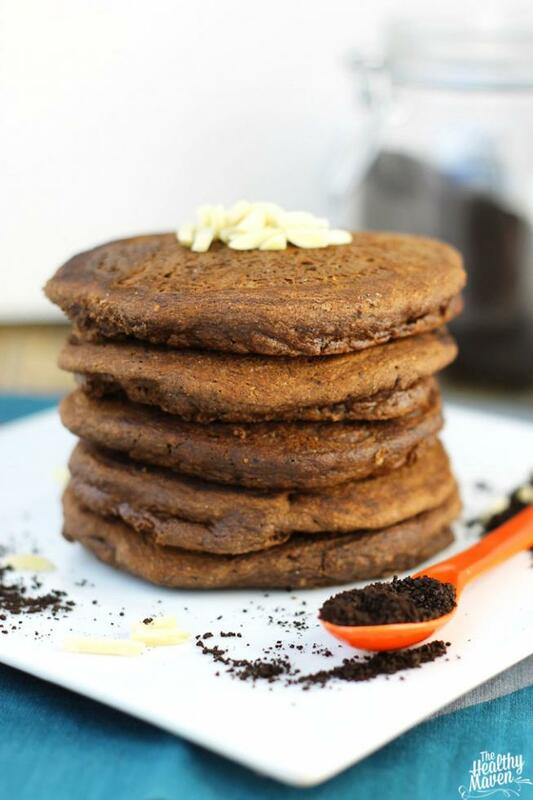 Paleo Mocha Almond Pancakes by Davida @ The Healthy Maven. Truly decadent pancakes with rich flavors mom will love. Mocha + Almond, yes please!! Get the recipe here. 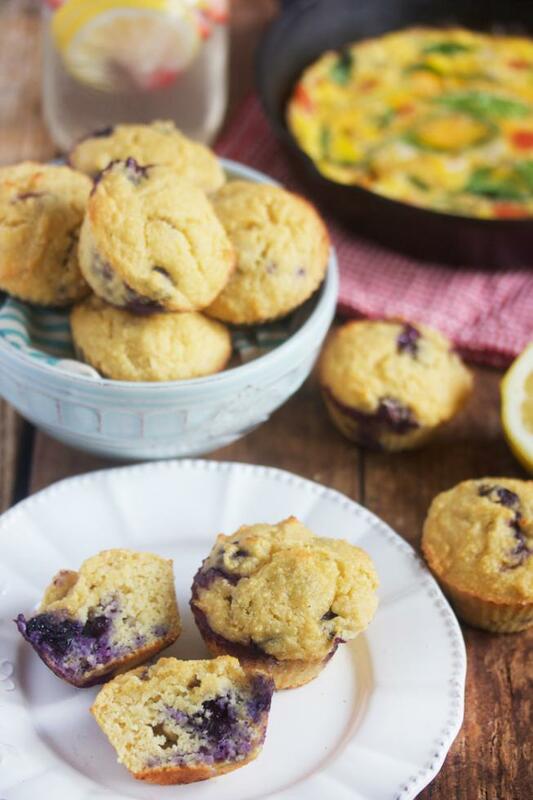 Paleo Lemon Blueberry Muffins by Lexi @ Lexi's Clean Kitchen. Lemon + Blueberries = the perfect spring combination. I'll be making these asap!! Get the recipe here. These look absolutely dreamy! She had me at coconut cream. Get the recipe here. 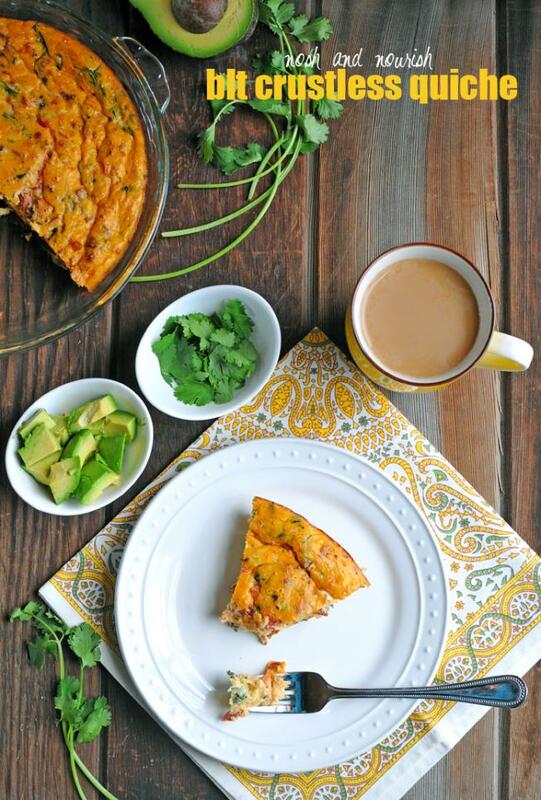 And one more pic of my quiche...because it's so darn photogenic! Soak cashews in 1/2 cup water at room temperature for 3 - 4 hours. Then drain the cashews, add in 1/2 cup fresh water, and blend with an immersion stick blender or food processor until smooth. Cook the turkey bacon, then crumble and set aside. Over medium heat in a medium skillet, heat up the olive oil. Then add in the spring greens, red onion, and lime juice and saute for approximately 5 minutes, until greens are wilted and onions are softened. Remove the greens from heat, and use a fork and knife to dice them into smaller pieces. Combine all the ingredients in a medium mixing bowl: cashew cream, bacon crumbles, diced wilted greens, eggs, tomatoes, green chiles, and spices. Use non-stick spray on a 9" pie pan, then pour in the quiche batter. Bake for 45 minutes, or until eggs are set and not jiggly. 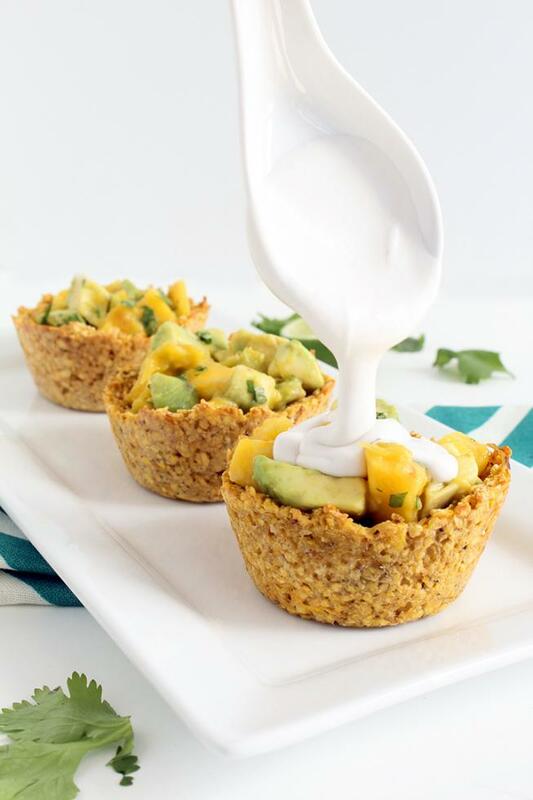 Serve with cilantro, sliced avocado, and or greek yogurt (optional).